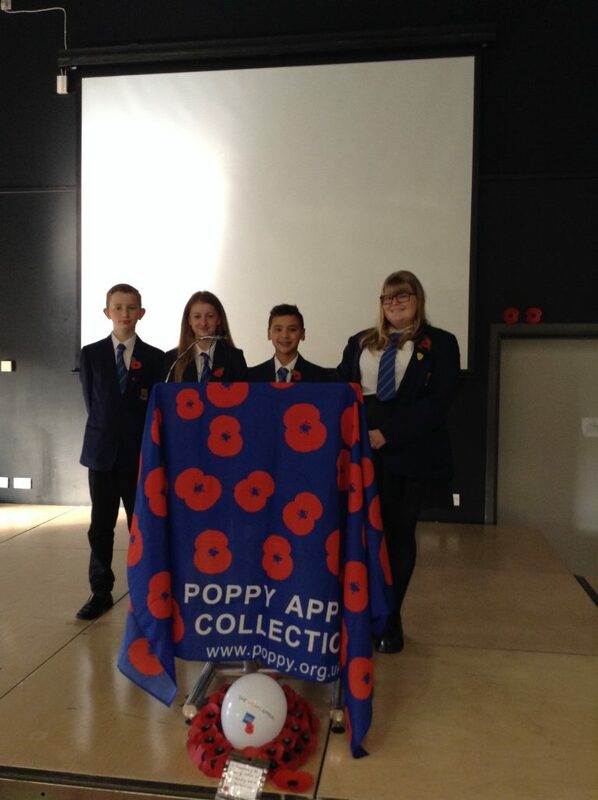 Last Friday, Miss Mohon led a poignant WWI Remembrance Day assembly with the help of students, Emily, Leon, Millie and Christopher. Miss Mohon talked to the whole school about why we commemorate Remembrance Day; the significance of the poppies we wear and how it’s important to take the time to think about those who made sacrifices for us. Miss Mohon also acknowledged one soldier who is named on the war memorial in Saltburn – Walter George Buckley – who died in WWI exactly 100 years ago aged 19, on 10th November 1917. Walter was one of the 35,000 soldiers killed between Spring 1916 and August 1918 in the Arras area of France who have no known grave. Miss Mohon brought to the students’ attention the Royal British Legion’s project on everyoneremembered.org and although 348,228 soldiers have been remembered by people leaving messages or comments on their website, until last Friday when Huntcliff did, nobody has left a commemoration or story about Walter. Members of the Saltburn community may wish to go onto the website and leave comments on Walter’s page (or indeed that of any soldier who died in the First Word War such as a relative or someone on their local war memorial). The students one by one then explained to their peers, in a moving and insightful way, why they thought Remembrance Day is still important. The assembly ended with a group reading of the Exhortation from Laurence Binyon’s poem, ‘For the Fallen‘, and the Last Post was then played before there was a minute’s silence held.